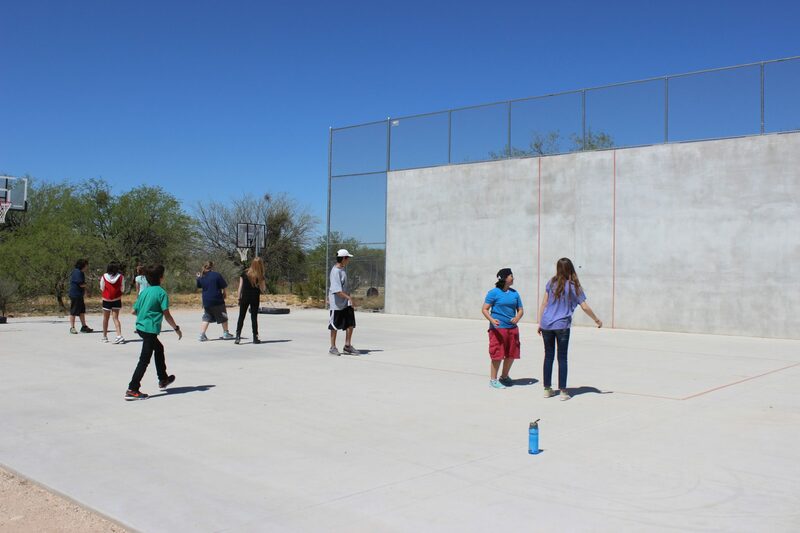 The World Players of Handball Welcomes Canadian Junior Stars to Tucson! The World Players of Handball welcomed Canadian junior standouts Michael Gaulton and Leslie Amminson to Tucson for an afternoon of sparring at the Tucson Racquet Club with WPH #5 pro David Fink. Arriving just after coaching handball at Khalsa Montessori School, the WPH jumped on the court with Gaulton and Amminson as they prepare for this weekend’s USHA Hall of Fame Tournament & Women’s Classic. Amminson and Gaulton are part of the Newfoundland junior handball team on Canada’s east coast. “We’re in the U.S. for two weeks,” stated Newfoundland head handball coach Wayne Amminson. “We have 30-40 kids playing in Newfoundland. Michael and Leslie are very excited to be playing this weekend at the USHA Hall of Fame Tournament & Women’s Classic and next weekend at the WPH Aces Player’s Championship. The WPH is able to host over 700 junior clinics and tournaments each year across North America because of the generosity of our sponsors and donors. Join the handball revolution today and help us in our mission to introduce and teach hundreds of new handball players each year.